Copyright © 2005-2015 by Charlotte DeMoney and Pétanque & Pastis. All rights reserved. We stopped in to see the Photography Exhibit at the very popular Peggy Guggenheim Collection in the Palazzo Venier dei Leoni on Venice’s Grand Canal. 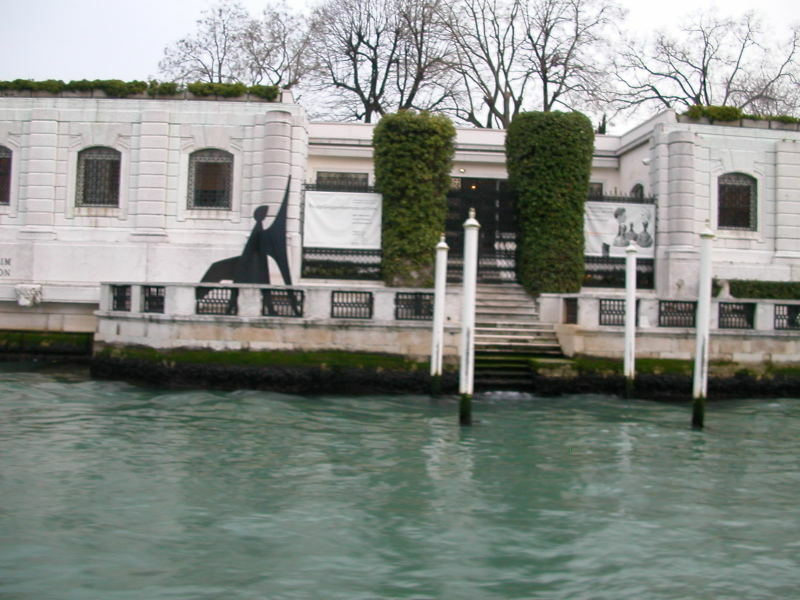 Peggy Guggenheim made her home here in the “Palazzo non finito” (uncompleted palace) from 1949 until her death in 1979. It looks as though the upper floors of the palace were somehow chopped off. However, for reasons which still remain a mystery today, the construction of the building, which began in the 18th century, was never completed. The exhibit provides photographs from Venice’s post-war international art scene captured at the Venice Biennales from 1948 through 1986. The << Biennale di Venezia >>, which also includes the Venice Film Festival, is an important contemporary art exhibition which has been taking place every other year in Venice starting from the late 1800’s. Many of the contemporary artists of the day are shown in the photographs including Picasso, Alex Calder, Fernand Léger, Max Ernst, Jean Cocteau, Man Ray, etc. Calvi – True Birthplace of Christopher Columbus ? Robert Crumb - Sauvons Sauve ! Carcassonne – We Made It !